Baltimore—March 7, 2018. 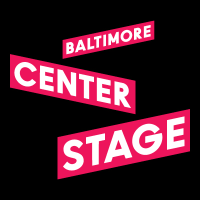 Baltimore Center Stage is pleased to announce its 2018/19 Mainstage Season, which includes a world premiere and a classic family drama, along with provocative political and social justice stories providing a lens into American life across cultures. Our 56th season kicks off with the sultry American classic, Cat on a Hot Tin Roof. Award-winning playwright Lauren Yee brings a fresh comedy to the stage with King of the Yees, and Marcus Gardley’s A Wonder in My Soul, updated with a Baltimore setting, will be our holiday production. The season will also feature Paula Vogel’s highly acclaimed play Indecent, and the 2015 Tony Award-winning musical Fun Home. The world premiere of Christina Anderson’s How to Catch Creation will close out the 2018/19 Season. In this enduring American classic, family ties and layers of lies collide over the course of one simmering Southern summer night. Themes of morality, greed, and desire play across the stage in this explosive drama about what can happen when illusions begin to unravel. Brick, racked with guilt over his best friend’s death, numbs his pain with drink. Maggie, his wife, is determined to win even fleeting attention from her neglectful husband. But when three generations come together to celebrate a birthday—and discuss a will—all of the players start to the crack under the pressure and the heat. How long can tensions build in a house boiling over with uncertainty, secrets, and maybe even love? In a Baltimore beauty shop, two longtime co-owners and best friends grapple with a major decision. Remain as the anchor of their beloved neighborhood, or relocate under the pressures of gentrification and crime? In dialogue that resonates with everyday poetry, and filled with music both profound and stirring, A Wonder in My Soul looks at the evolution of one family and a whole community through the eyes of two best friends and their lifetime of friendship. Welcome to the Bechdel family. But just what family is it? Through the searching eyes of daughter Alison—aged 9, 17, and then 42—we meet her ever-shifting and sometimes unreliable memories of brothers, mother, and above all her repressed father, along with recollections from the family funeral home to Alison’s coming out. Based on Bechdel’s own best-selling illustrated memoir, this poignant tale harnesses every facet of music and theater to explore and unravel the mysteries of childhood and the surprising secrets that shape a life. Winner of the 2015 Tony Award for Best Musical, from the composer of Caroline, or Change and the writer of 2.5 Minute Ride. WOULD YOU GO TO JAIL FOR WHAT YOU LOVE? What is the cost when we sacrifice truth for success? Can radical love be pious, or merely provocative? Does every religion sell God for a price? Follow the true story of a play, a playwright, and a plucky troupe of Yiddish theater artists from 1906 Warsaw to 1923 Broadway, from risky experiment to global sensation—and ultimately shattering scandal. The latest hit from the Pulitzer Prize-winning playwright of A Civil War Christmas, The Baltimore Waltz, and How I Learned to Drive, this highly acclaimed and award-winning drama pays homage to artists ahead of their time and doomed to pay the price. This entry was posted in Press Releases and tagged A Wonder in My Soul, Alison Bechdel, Baltimore Center Stage, Baltimore Theatre, Cat on a Hot Tin Roof, Christina Anderson, Fun Home, How to Catch Creation, Indecent, Jeanine Tesori, King of the Yees, Lauren Yee, Lisa Kron, Marcus Gardley, Paula Vogel, Season Announcement, Tennessee Williams by Jason. Bookmark the permalink.